The arena footing design and construction is critical to the success of the equestrian arena. The optimum riding surface must meet three conditions and include shear strength, minimal concussion and viscoelastic rebound. Horses experience a great deal of stress while performing at high levels and the right footing design will meet the demands of trainers and riders. The ideal arena footing deters injuries to the horse and helps boost performance. The optimum shear strength allows for vertical as well as horizontal motions of the hoof to be absorbed in a controlled and progressive manner. The surface allows for forward motion, or in equestrian terms, break over, of the hoof and compacts the footing below the horse. The engineered viscoelastic rebound enhances and encourages forward motion. The footing must remain stable in extreme temperatures. During high temperatures the footing must not soften and during cold temperatures the surface must remain pliable. The base is the most important phase when constructing the equestrian arena footing. The critical component is the drainage. It is important the sub-base drains with light or heavy use. For areas that experience dry conditions, such as New Mexico, Nevada, Arizona and California may need an optional installation and include irrigation as well as drainage. The system provides irrigation, as well as drainage and the footing system is a combination of footing and base design and construction. The equestrian arena footing will determine the optimum performance. 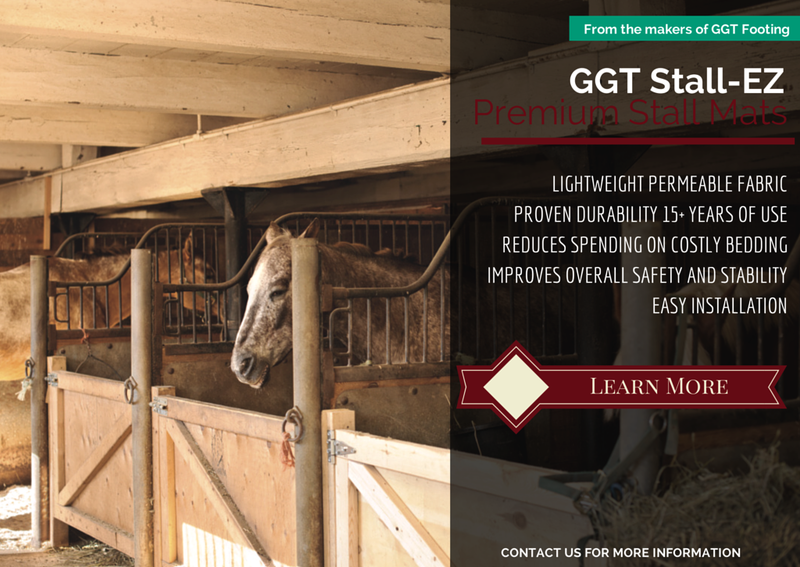 A surface that is hard and/or brittle will absorb very little of the horse’s impact energy. The hard condition will cause high impact shock and the horse may develop joint and bone problems. 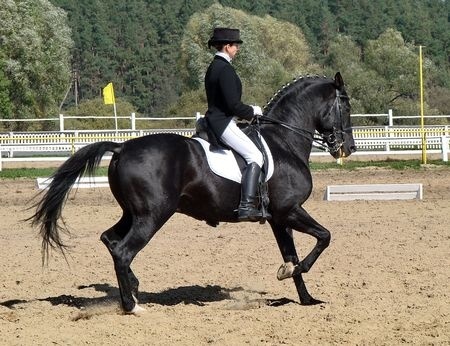 The condition will make the horse adjust their stride to avoid excessive shock to the horses legs. A surface that is too soft and loose will make the horse adjust their stride to generate the extra energy required to move the horse forward. In both cases performance and soundness is compromised. The equestrian arena footing will allow the horse to generate the right amount of energy without over taxing the horses ability to run the course. A horse will leave an imprint no deeper than 1 inch with no shifting of the sand bed. The less the hoof beat is heard as the horse travels around the course, is an indicator of the footing doing the best job possible. The best construction equestrian arena footing is hard, glacial and quartz sand that is angular in shape. The sand will compact without becoming hard or brittle and it will not wear out as quickly as other types of sand. Cheaper sands with less structural integrity will wear out and decompose into stone dust in a short period of time, resulting in expensive repairs before their time. 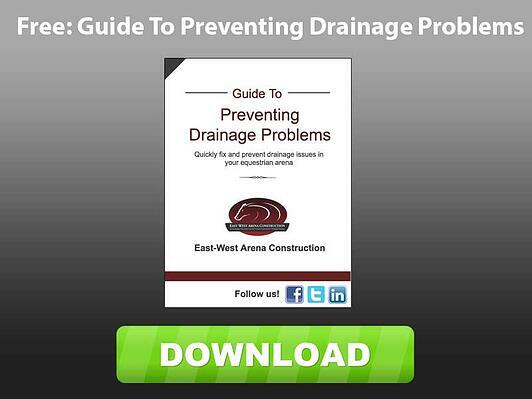 For more information about arena footings, please contact us and let our professional staff guide you through the process.